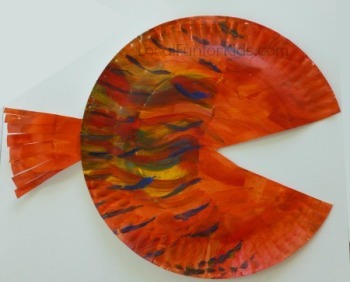 Just grab a thin paper plate and have the kids use the left over paint to make a design. 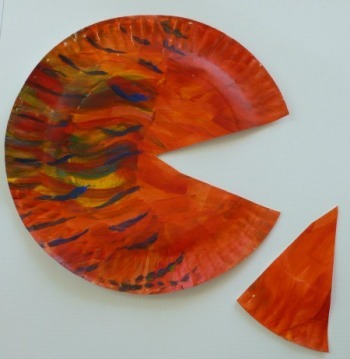 Once the paint is dry, cut out a long triangle from the side of he plate. Then, cut little fringes on the triangle to look like wavy fins. You can attach it to the back of the plate using tape or glue. Then, just pop on a googly eye and you're done! 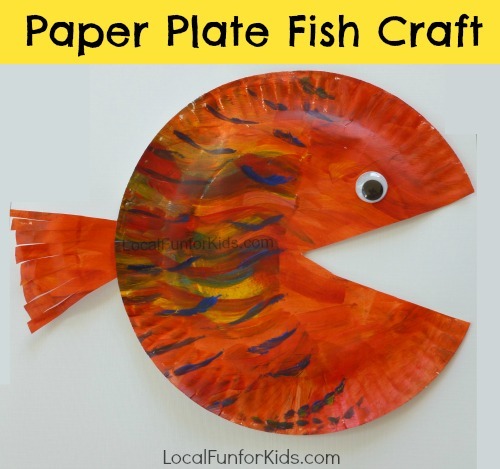 You've got a tropical paper plate fish! Seriously, this has got to be one of the easiest summer crafts for camp, preschool or a birthday party. These paper plates are thin, so they don't need much paint, and they dry pretty fast too. You can check out more swesome summer activities for kids over at the My Life and Kids and on my Summer Fun Pinterest board!